Envision was founded in 1933, amidst the Great Depression, as the Wichita Workshop and Training School for the Adult Blind. The purpose was simple – to give individuals who were blind the skill set necessary to make and sell their own products, while keeping the profits. In 1938, the government passed the Javits-Wagner-O’Day Act (now known as AbilityOne), a law providing government contracts to companies who employed individuals who were blind to make their products, as long as the products were within government specifications. Immediately, the Wichita Workshop and Training School went to work supplying the federal government (and the United States Army during WWII) with pillowcases and brooms. 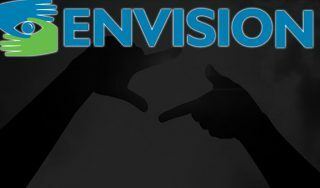 Since then Envision has set out on their mission to improve the quality of life and provide inspiration for the blind and visually impaired through employment, outreach, rehabilitation, education and research. Click Here To View And Apply To All Of Envision’s Available Positions!